Andrews McMeel Publishing, 9781449477912, 184pp. 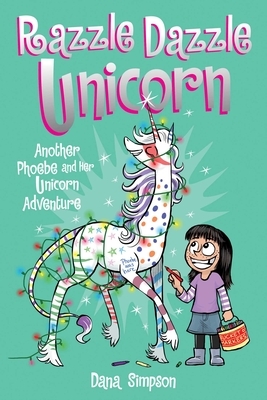 Dana Simpson's Phoebe and Her Unicorn is back with more sparkles than ever! In this fourth volume, join in the adventure as Phoebe and Marigold confront messy rooms, trouble at school, and a nasty case of “Sparkle Fever.” Follow the pair back to Camp Wolfgang, where their old pals Sue (a.k.a. “Monster Girl”) and Ringo, the lake creature, remind them that being weird is WAY more fun than being normal.